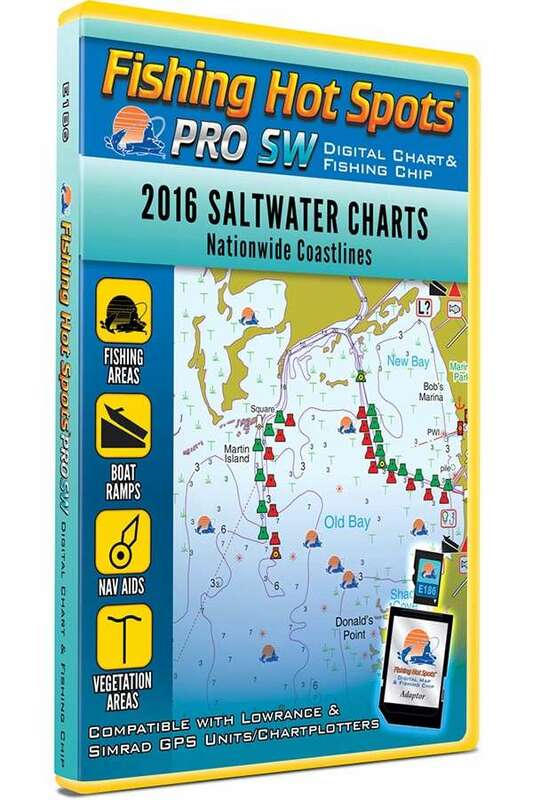 The Fishing Hot Spots E186 PRO SW Digital Chart provides Nationwide Coastlines Coverage for Simrad & Lowrance GPS Units/Chartplotters. 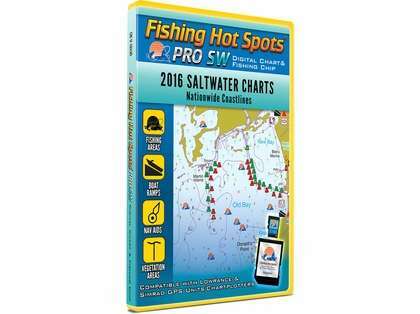 Fishing Hot Spots Pro SW is the ultimate angler's digital chart and fishing chip, delivering more fishing information and chart data than any other single chip. Major USA Coastlines are available with detailed shorelines and depth contours. Premier fishing waters are complete with all of Fishing Hot Spots exclusive and extensively researched Fishing Points of Interest, Coastal Water Profiles and Area Specific Fishing Tips and Techniques.